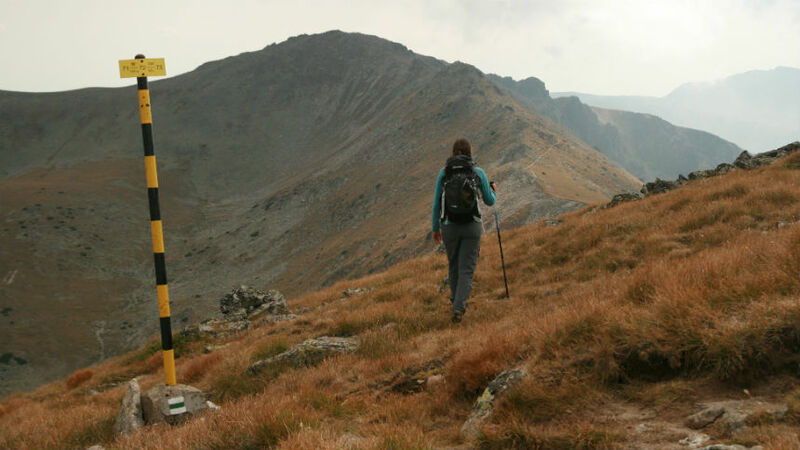 Self-guided Walking Tour In Rila Mountains, Bulgaria. Inn To Inn Trekking Holidays. 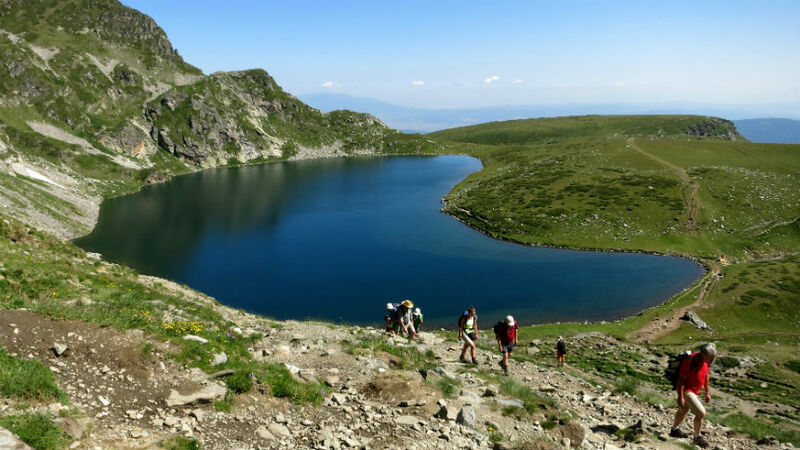 Rila Mountains are considered as the best place for alpine hiking in Bulgaria as they offer a wide network and large variety of marked walking trails of different difficulty levels. Two major international tourist routes (E4 and E8) cross the mountains. Deriving its name from the Thracian expression of a “well-watered mountains”, Rila not only prides itself being home to the highest peak on the Balkan Peninsula (Musala, 2925m) but also with the abundance of glacial lakes (numbering more than 200), deep river valleys, lush alpine meadows and diverse flora and fauna. Rila National Park is the biggest out of the three national parks in Bulgaria and also one of the largest across Europe. 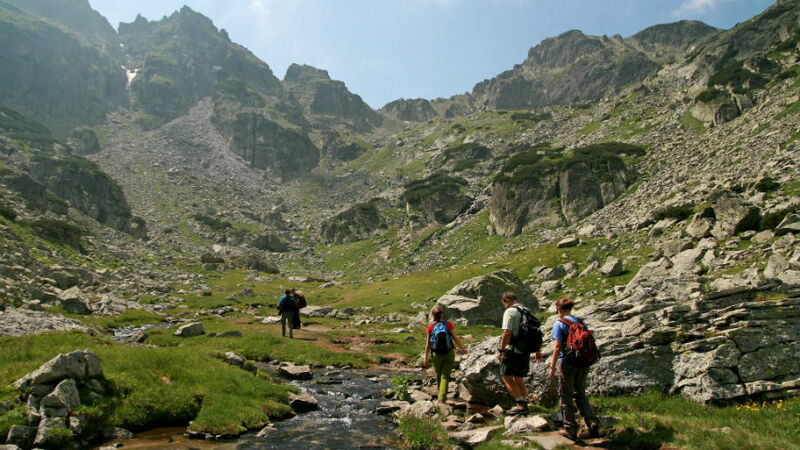 The beginning of the tour in Vitosha Mountains is just a prelude to the secrets Rila and some of the real alpine hikes which you will do there. Strenuous but rewarding walks and spectacular landscapes “above the clouds” will show you to some of the most famous hiking areas in Bulgaria. 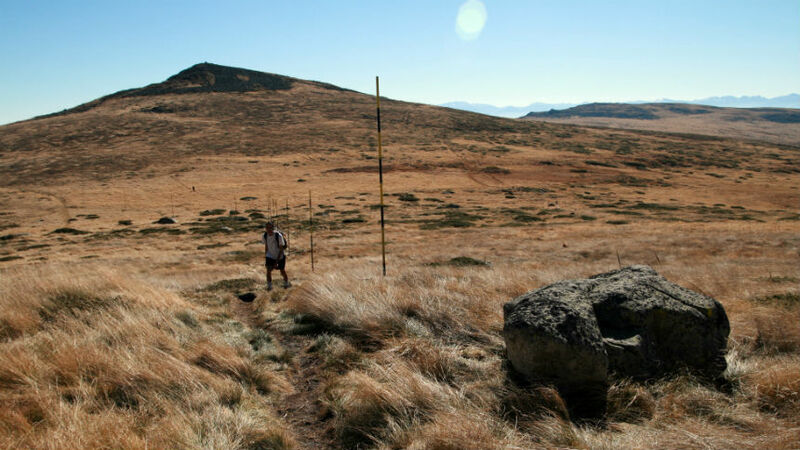 This self-guided trek has been designed for hikers with previous experience in alpine hiking, where storms and fog could easily occur in summer and adequate reaction might be needed in such situations. The difficulty of the walks increases gradually during the program. Options, that would make a certain day easier or harder are also mentioned in the roadbook and could be considered by clients in case of bad weather conditions or if they wish to exert themselves with more hiking. The suggested itinerary allows the sequence of some of the days to be changed generally depending on the above conditions. Daily excursion to Rila Monastery (probably the most famous tourist attraction in Bulgaria, UNESCO heritage listed) is a natural extension of this tour (with extra night in Sofia), which is normally appreciated by everyone (scroll down for details). 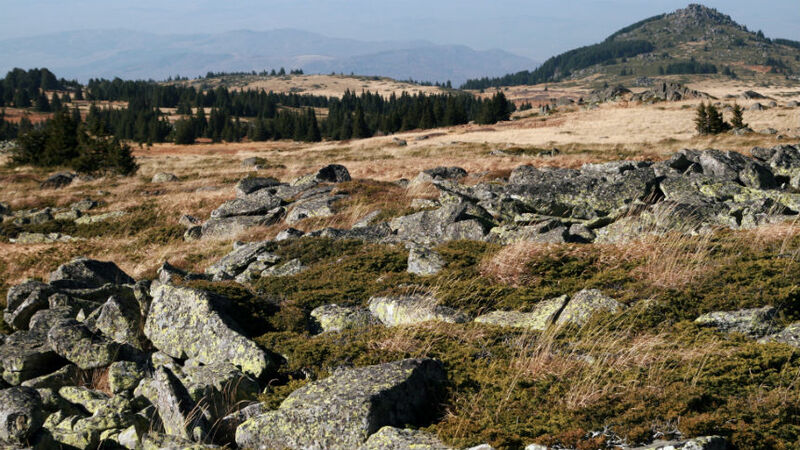 - Vitosha Mountains are the oldest Nature Park on the Balkan Peninsula and the most favourite place for hiking for thousands of inhabitants of the capital, exploring either the two nature reserves or ascending the highest peak Cherni Vryh (The Black Peak) – 2290 m a.s.l. - Rila Monastery (for people who go for the extension) is one of the most remarkable monuments on the Balkan Peninsula equally for its size, natural surroundings, architecture, wall paintings and ancient history dating back to the 10th century. 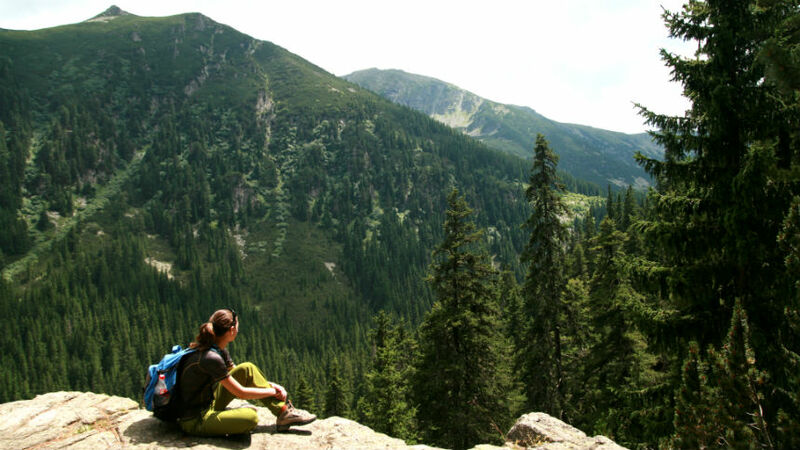 The riddles of the Rila Mountains /self-guided trek in Bulgaria/ Itinerary: Day 1: Arrival in Sofia. Day 2: Vitosha Mountains - Govedartsi Day 3: Govedartsi (Circular trek) Day 4: Govedartsi (The Seven Rila Lakes) Day 5: Borovets (The Scary Lake) Day 6: Borovets (Mt. 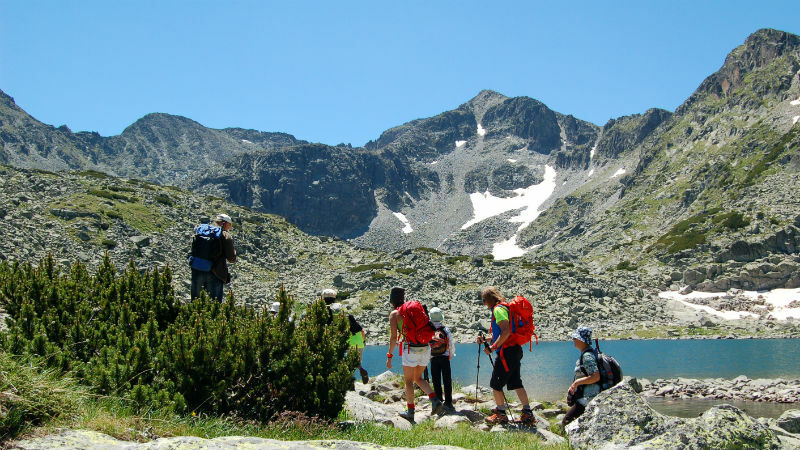 Musala) Day 7: Borovets (Circular trek to Maritsa hut)Borovets (Mt. 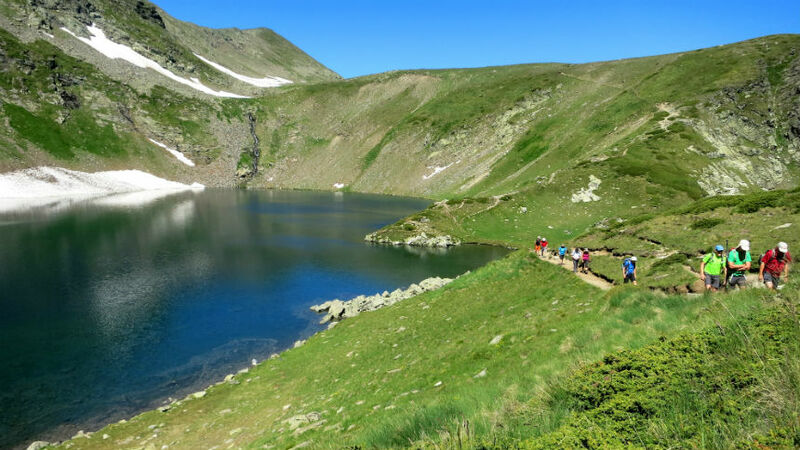 Musala) Day 8: Transfer to Sofia Airport Included: Three-star and family hotels; En-suite rooms; breakfast in Sofia, Borovets and Govedartsi; supper � in Govedartsi village. All luggage transfers. Transfers to and from Sofia Airport and all other transfers in the itinerary; Detailed English descriptions of routes; Tourist maps of the Rila and Vitosha, and all local taxes. Day 1. Welcome meeting at Sofia Airport and transfer to your hotel. Time permitting you will be able to explore on your own the city centre by the end of the day. Day 7. 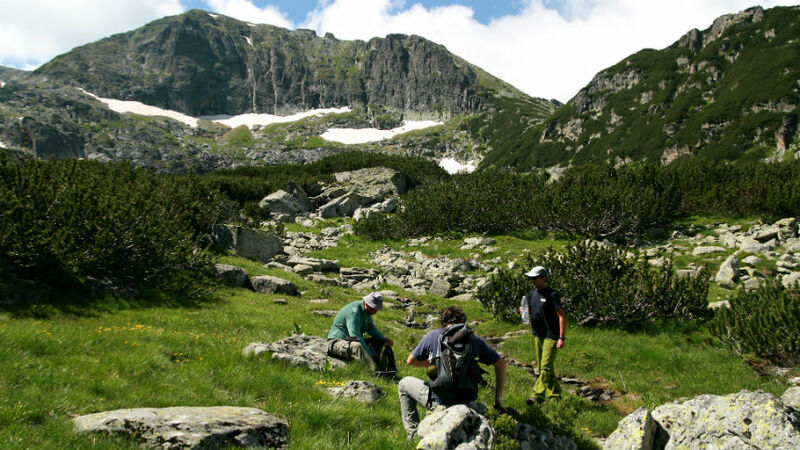 Today you will target the highest peak in Bulgaria and on the Balkans – Musala (2925 m a.s.l.). A ride on the gondola-lift to Yastrebets Peak (2369 m a.s.l.) will provide you with good starting point for the hike. Enjoyable walk along an almost flat trail heading straight towards the jagged form of Mount Musala will lead you to the Icy Lake refuge, lying at the foot of the peak. Reaching the top normally takes 2,30hrs for the lift station. 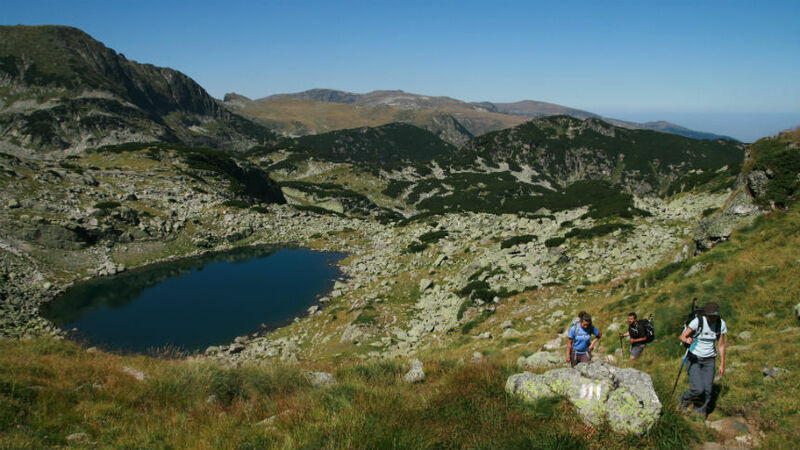 The view from the peak is truly breath-taking – you can make out the remaining peaks of Rila Mountains; the marble edges of the Pirin Mountains; Mount Vitosha and the Sredna Gora Mountains; the green summits of the Rodopi Mountains; and last, but not least, the long body of the Balkan range. (5-6hrs of walking; 14,20km/8,82miles; climbing and descending 690m/2264ft). Day 8. Transfer to Sofia Airport (1,30hrs) for departure. Stay one more day and visit one of the most famous tourist attractions in Bulgaria – Rila Monastery (UNESCO heritage site). Scroll down for prices. Days 1, 5, 6 and 7 – 3-star hotels with en-suite facilities. Days 2, 3 and 4 – family-run pension with en-suite facilities. Meal plan is based on half board (breakfast and dinner included) except for Day 1, Day 5-Day 7, when no dinner is provided Restaurants in Sofia and Borovets are abundant). Luggage is taken care of throughout the tour. The price includes: a trip, fully inclusive of all ground transfers from airport to airport (pick up/drop off at Sofia Airport); detailed roadbook in English and maps; luggage transportation; accommodation and boarding as mentioned above; 24/7 emergency hotline; VAT and all local taxes. The price does not include: other meals, lift tickets, tips, entrance fees, alcohol drinks and other personal expenses.